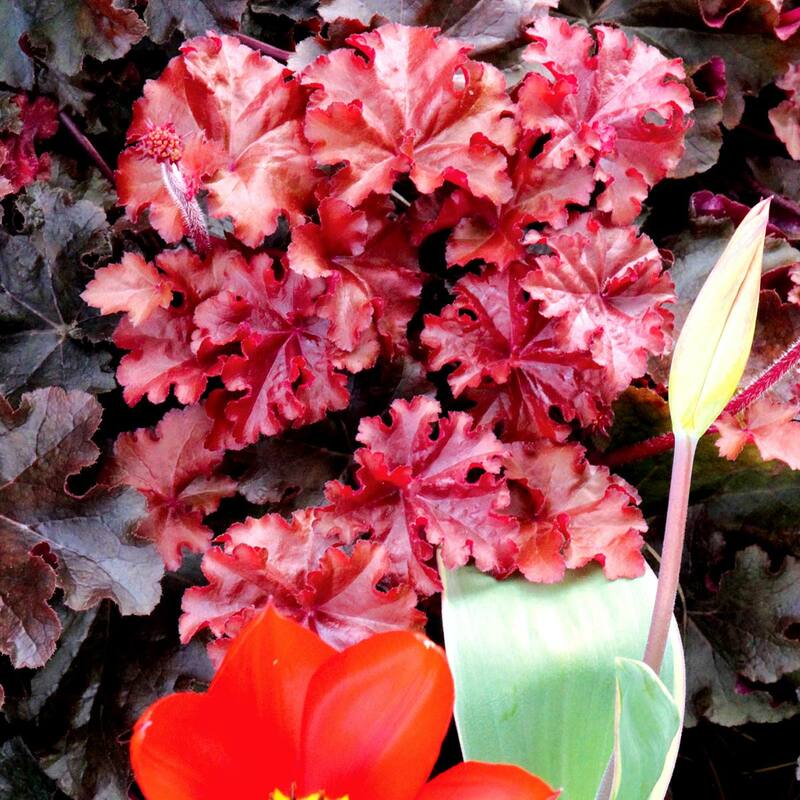 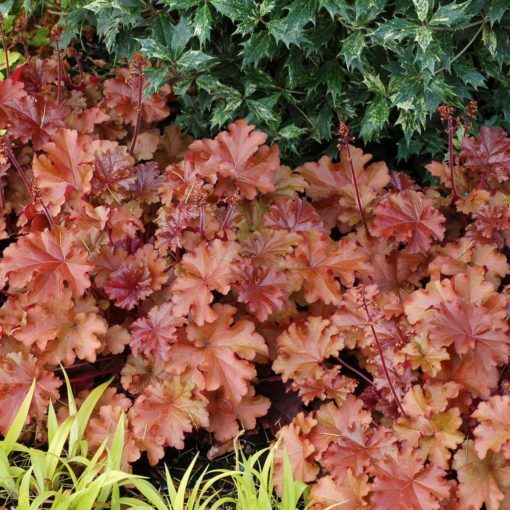 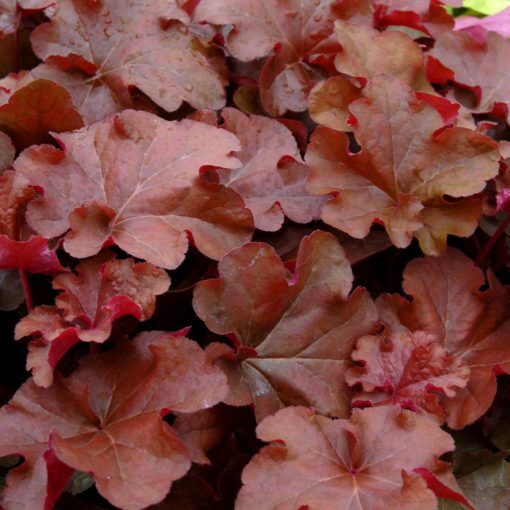 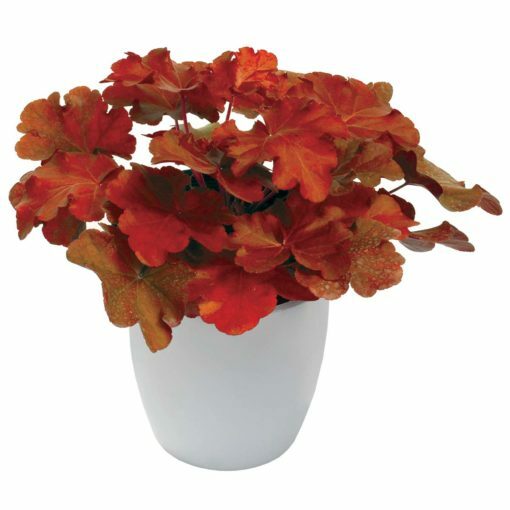 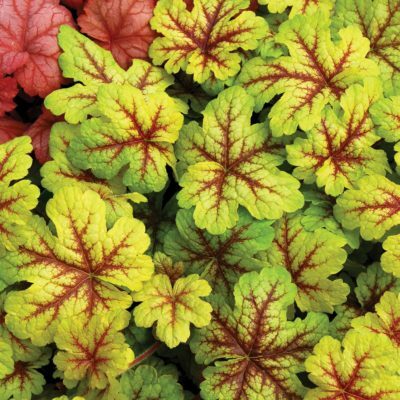 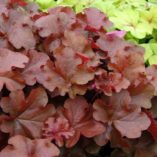 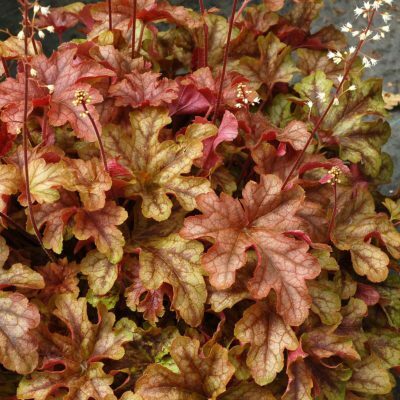 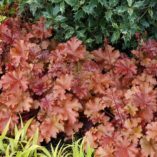 Heuchera ‘Mahogany’ | TERRA NOVA® Nurseries, Inc.
Like shiny, rich leather, this ruffled, mahogany-red beauty is a great garden performer. Wonderfully dense and shiny color year-round. Foliage changes from spring purple tones to summer red tones. Fabulous in combination containers. An excellent landscape plant. 8" / 16" / 14"
It differs from 'Black Beauty' in having redder foliage tones. 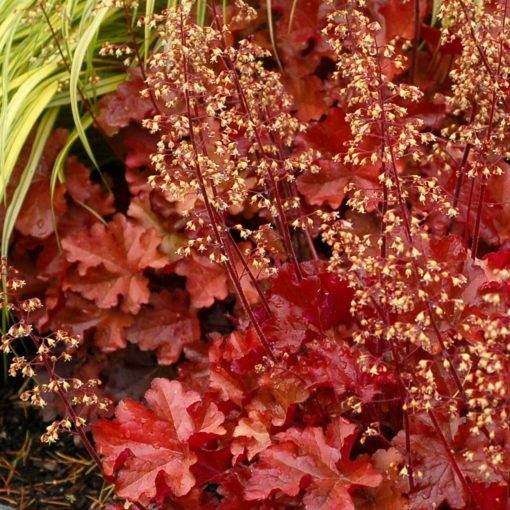 It is a great blender in the landscape. 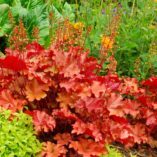 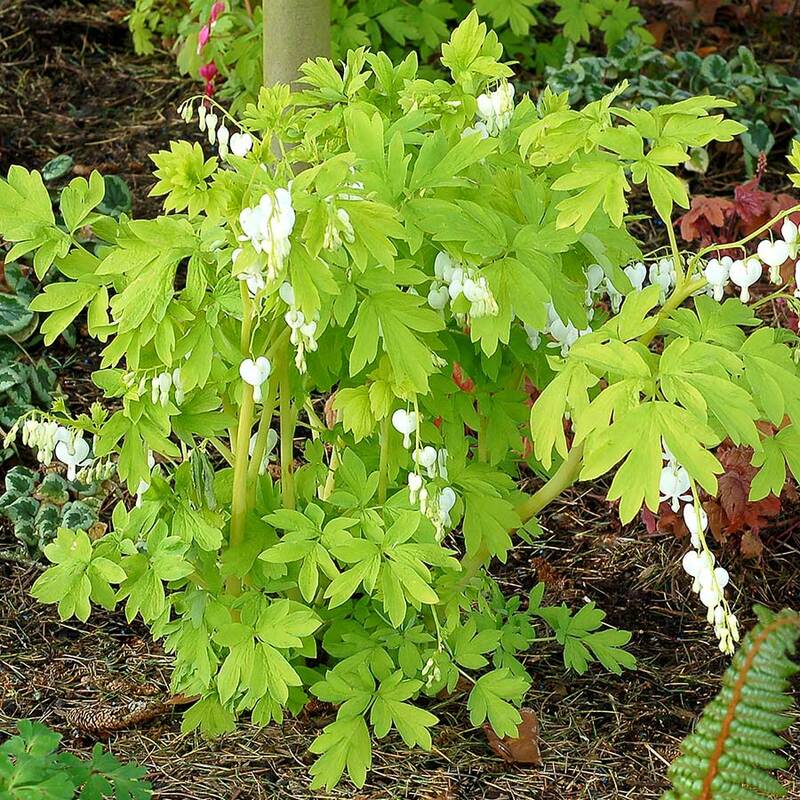 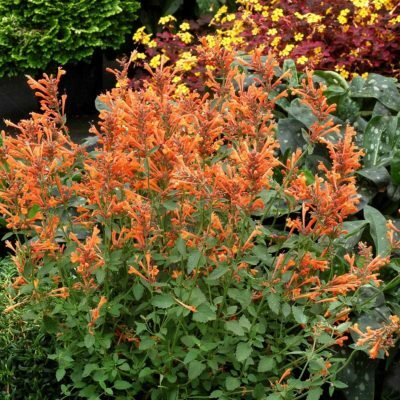 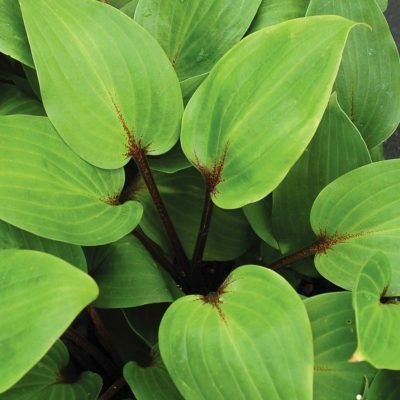 Use in mixed beds, mass planting, border, edging, containers.